Peppermint Technology, the award-winning legal and dispute management technology provider, today announced the appointment of Mike Walker to the post of Chief Technology Officer. In the newly-created CTO role, Mike will lead Peppermint’s product engineering teams, and will guide the roadmap and strategy for Peppermint products. 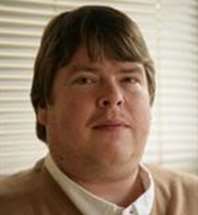 Prior to joining Peppermint, Walker was Global Chief Software Architect at Thomson Reuters Elite, a role he held for the last four years after he joined following the acquisition of FWBS. Mike was a founder of FWBS, and he is renowned as the “brains” behind the company’s very successful MatterSphere matter management product.